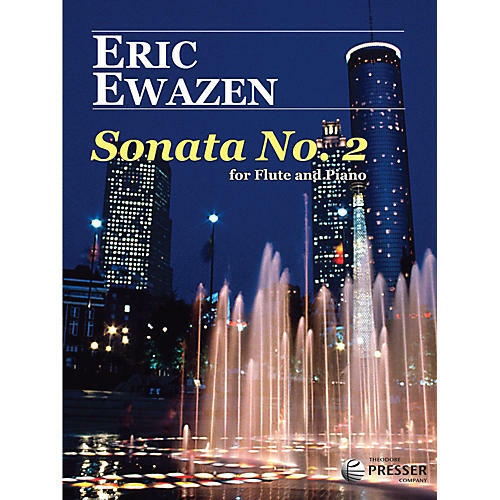 Eric Ewazen's Sonata No. 2 for Flute and Piano rides on cosmopolitan sparkle inspired by a party atop Atlanta's Hilton Towers, looking down at the city with live jazz in the background in celebration of concerts at the 1999 NFA convention. Composed for Sandra Lunte and Richard Seiler years later in 2011-12, Ewazen's bold and dramatic second sonata is both a foil and a companion to the lyric and pastorale Sonata No. 1 (114-41442 - $18.95) from 2010-11.